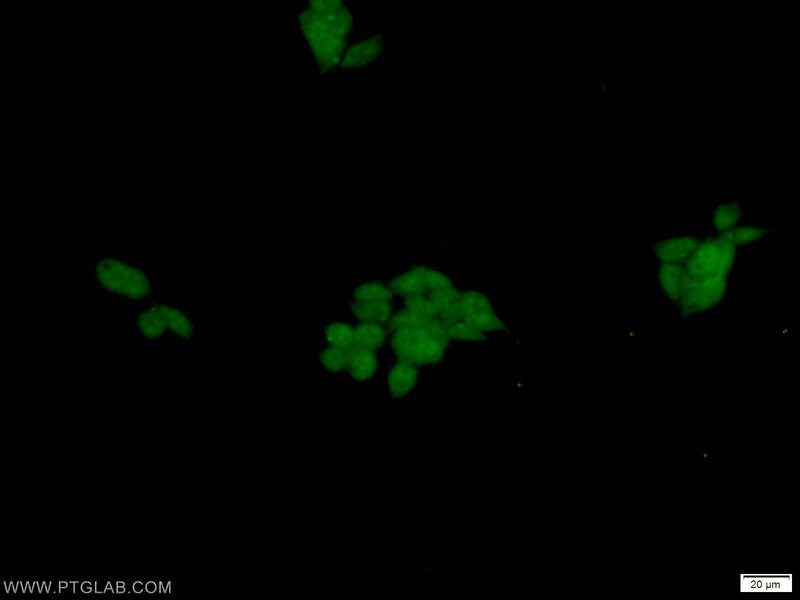 IP Result of anti-DFF45/DFFA (IP:10191-2-AP, 3ug; Detection:10191-2-AP 1:1000) with HEK-293 cells lysate 2500ug. Apoptosis is accompanied by shrinkage and fragmentation of the cells and nuclei and degradation of the chromosomal DNA into nucleosomal units. DNA fragmentation factor (DFF), heterodimer of 40-kDa (DFFB) and 45-kDa (DFFA) subunits, is one of the major endonucleases responsible for internucleosomal DNA cleavage during apoptosis. DFFA is the substrate for caspase-3 and triggers DNA fragmentation during apoptosis. 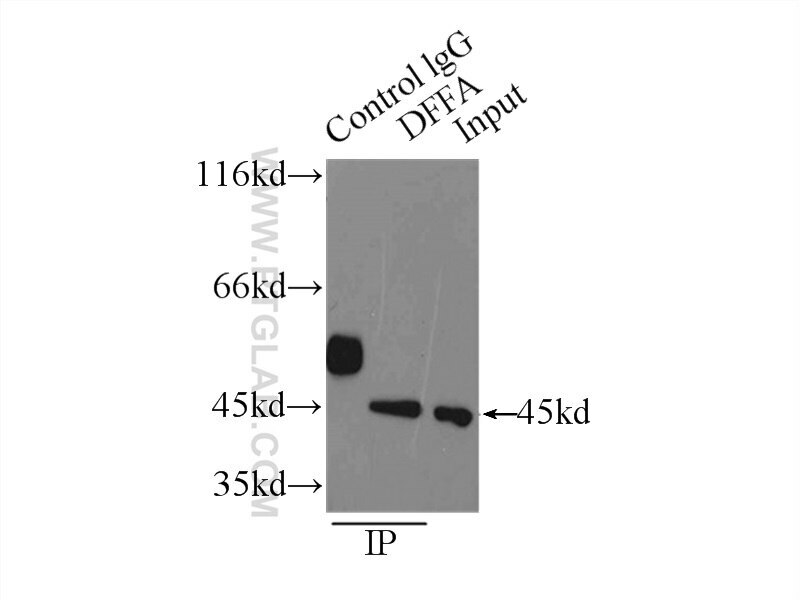 DFF activated after cleavage of DFFA by caspase-3 followed by its dissociation from DFFB. 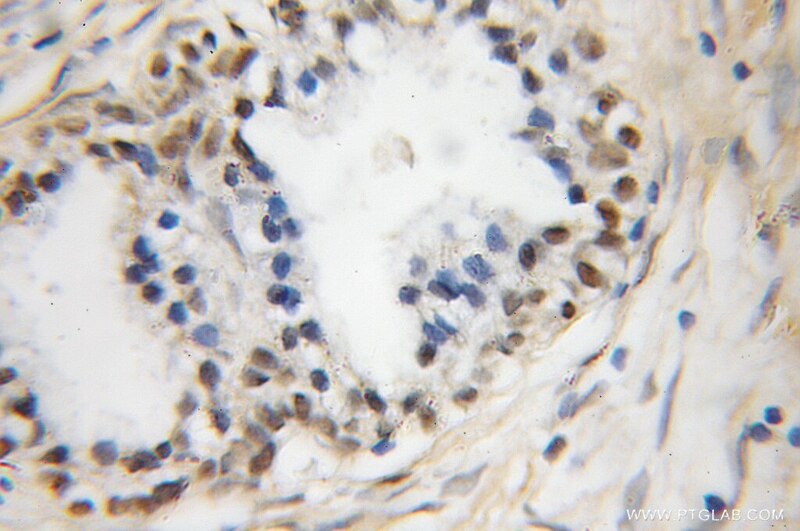 DFFB has been found to trigger both DNA fragmentation and chromatin condensation during apoptosis. 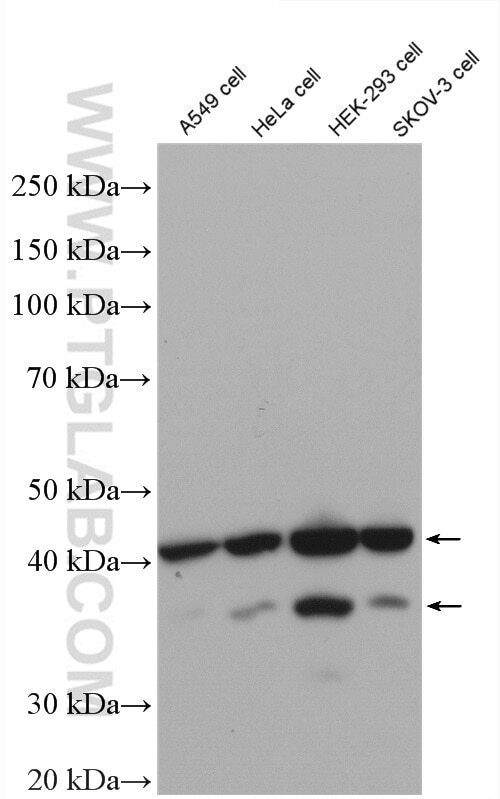 DFFA appears to be a 45-kDa protein despite the predicated MW of 37 kDa. MiR-145, a new regulator of the DNA fragmentation factor-45 (DFF45)-mediated apoptotic network. 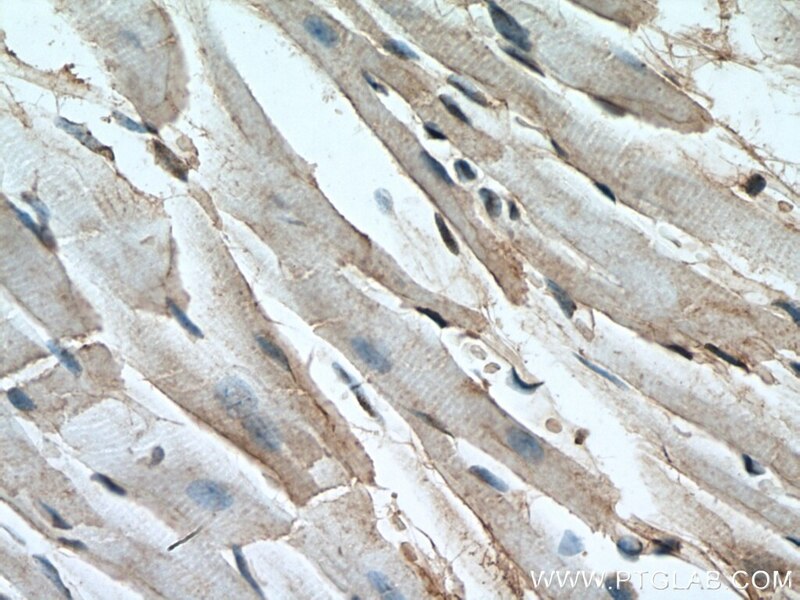 Immunohistochemical analysis of paraffin-embedded mouse heart tissue slide using 10191-2-AP (DFF45/DFFA antibody) at dilution of 1:200 (under 10x lens) heat mediated antigen retrieved with Tris-EDTA buffer(pH9). 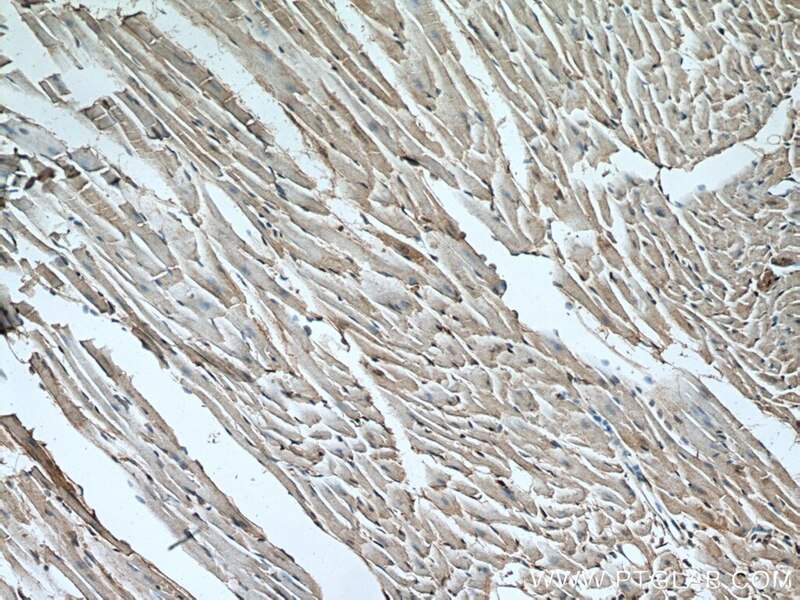 Immunohistochemical analysis of paraffin-embedded mouse heart tissue slide using 10191-2-AP (DFF45/DFFA antibody) at dilution of 1:200 (under 40x lens) heat mediated antigen retrieved with Tris-EDTA buffer(pH9).